About: This Class III and IV rafting adventure is perfect for families with older children and adults alike that are looking for a river adventure that is a bit more wild than our other (tamer) family-friendly adventures. Come surf the holes and take a wild ride down some awesome rapids. This adventure includes 2 runs down the rapids, each run down takes approximately 30 minutes. A lunch is provided when we return to base at the end of the trip. Location: This trip meets at our raft base in Errol, NH. Duration: This rafting adventure last approximately 4 hours from start to finish. 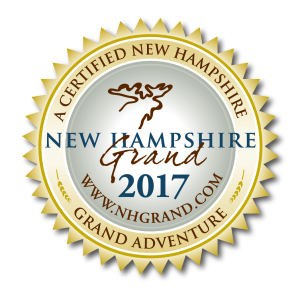 Price Includes: a licensed Maine guide, safety gear, comfort gear, transport from our raft base in Errol, NH to and from the river, a light snack and lunch. On this trip we provide a light snack (water, granola bars, etc.) and a cookout meal at the end (such as hot-dog, hamburgers, veggie burgers, side salad and drinks). If there are vegetarians in your party, please do let us know. Guests with additional dietary preferences and/or restrictions (allergies, sensitivities, etc.) are strongly encouraged to bring along their own snacks and lunch items as our menu options frequently fluctuate. What Are Class III & IV Rapids: The American Whitewater Association Describes Class III as – rapids with moderate, irregular waves which may be difficult to avoid and which can swamp an open canoe. Complex maneuvers in fast current and good boat control in tight passages or around ledges are often required; large waves or strainers may be present but are easily avoided. Strong eddies and powerful current effects can be found, particularly on large-volume rivers. scouting is advisable for inexperienced parties. Injuries while swimming are rare; self-rescue is usually easy but group assistance may be required to avoid long swims. Rapids that are at the lower or upper end of this difficulty range are designated “Class III-” or “Class III+” respectively. Class IV rapids are described as – intense, powerful but predictable rapids requiring precise boat handling in turbulent water. Depending on the character of the river, it may feature large, unavoidable waves and holes or constricted passages demanding fast maneuvers under pressure. A fast, reliable eddy turn may be needed to initiate maneuvers, scout rapids, or rest. Rapids may require “must” moves above dangerous hazards. Scouting may be necessary the first time down. Risk of injury to swimmers is moderate to high, and water conditions may make self-rescue difficult. Group assistance for rescue is often essential but requires practiced skills. A strong eskimo roll is highly recommended. Rapids that are at the lower or upper end of this difficulty range are designated “Class IV-” or “Class IV+” respectively.